A preview of the auction items for the Gustavus Library Associates gala fundraising event, A Royal Affair, is now available. The event is on November 16 and online bidding is still available. 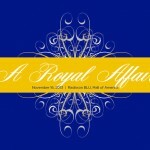 To view the auction items, donate, purchase tickets, and find out more information about the event, visit bidpal.net/royalaffair13.